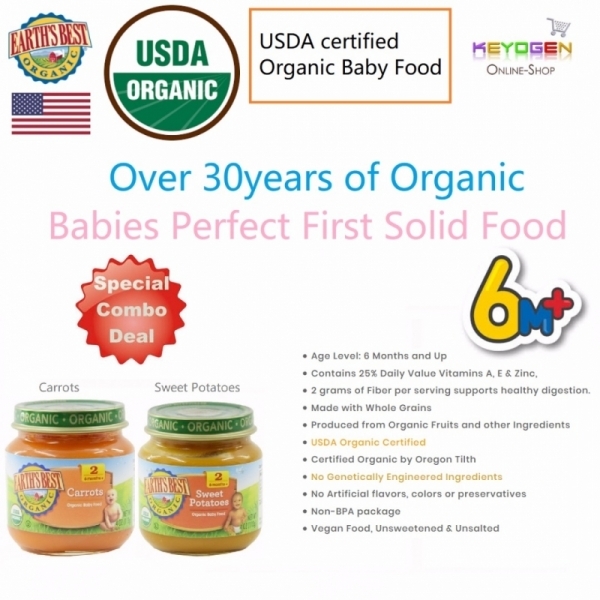 Give your little one a grab-and-go meal you can feel good about with Earth's Best Organic Certified Baby Food Sweet Potatoes Fruit and Grain. This baby food pouch contains a fruit and grain puree that will satisfy your baby with its taste and texture. Remove contents from jar to heat & serve.Refrigerate after opening.Stir & serve. Refrigerate after opening & use within 3 days. Caution:Safety button pops up when original seal is broken. Do not use if button is up.